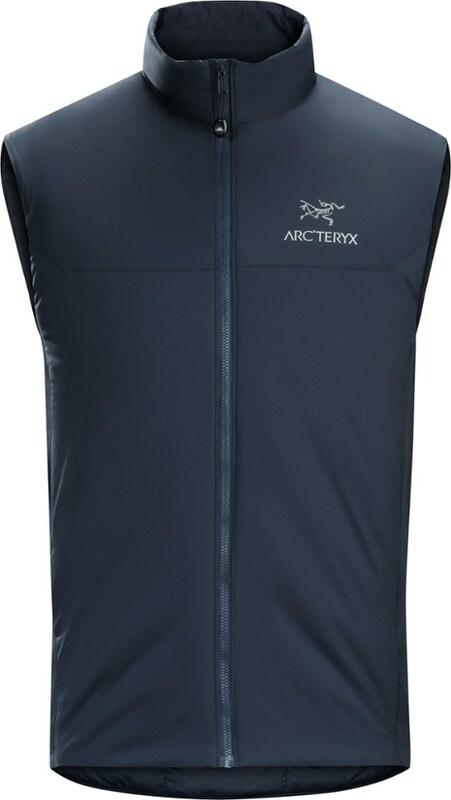 A classic, insulated layering piece, this sleek vest offers ample (100g) PrimaLoft Eco insulation to warm your core without additional bulk or weight. 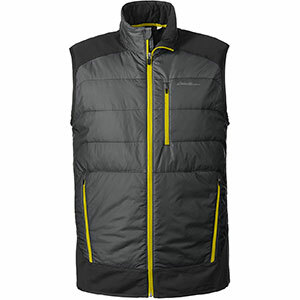 Stow this versatile vest in its own hand pocket and pack it along for the ride, or zip it into The North Face shell jackets to create a streamlined layering system. 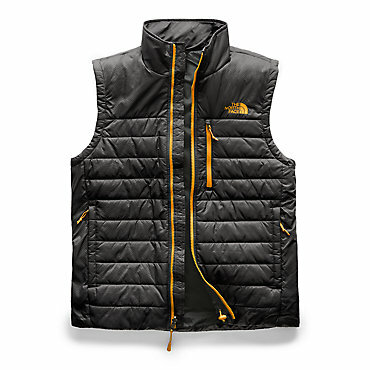 The North Face Red Blaze Insulated vest keeps your core warm all year. With pack-along convenience, you can take it anywhere. Shove it in your pack, your glove compartment, your lunch box next to your turkey sandwich, your dry bag, or your seat bag for any kind of adventure where the weather isn't a sure thing. The Red Blaze is made with tough nylon face fabric. 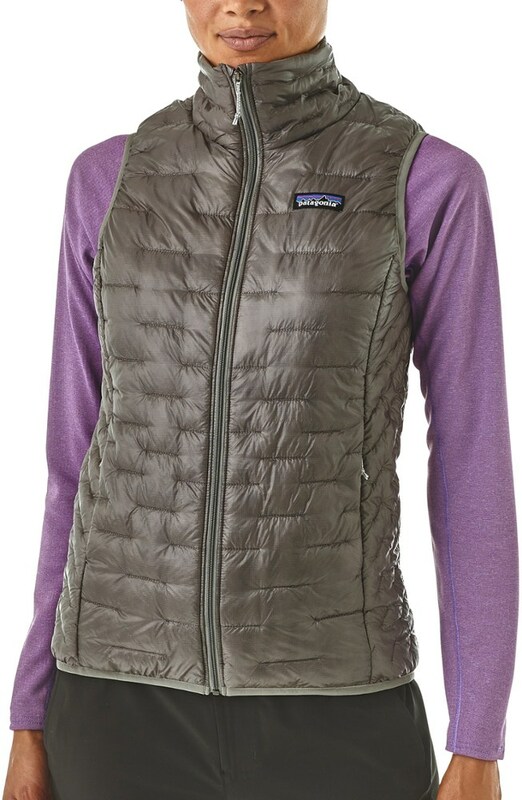 Inside, lightweight, high-loft Primaloft Eco insulation traps your body heat to keep you warm in chilly weather. 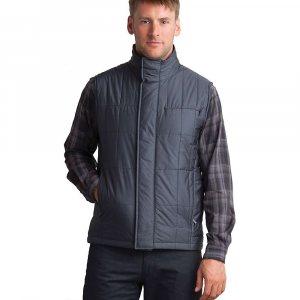 The two hand pockets also have insulation on the outside to keep your hands warm. A Napoleon pocket on the chest is perfect for your phone or an MP3 player, or anything else that you want to keep close at hand. When it's time to pack up and head out for a hike, you can stow the Red Blaze inside its own pocket so it takes up less room in your pack, then pull it out if the temperature drops. Stow this versatile jacket in its own hand pocket and pack it along for the ride, or zip it into The North Face(R) shell jackets to create a streamlined layering system. 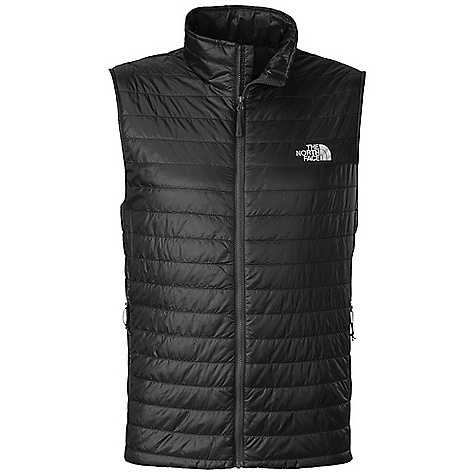 A classic insulated layering piece, The North Face Red Blaze Vest is a sleek vest that offers ample (100g) PrimaLoft Eco insulation to warm your core without additional bulk or weight. Stow this versatile jacket in its own hand pocket and pack it along for the ride, or zip it into The North Face shell jackets to create a streamlined layering system. Free Shipping. 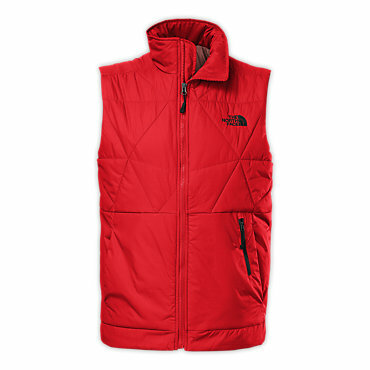 The North Face Men's Red Blaze Vest DECENT FEATURES of The North Face Men's Red Blaze Vest Secure Napoleon chest pocket Two secure-zip hand pockets Stows in hand pocket Elastic binding at cuffs Hem cinch-cord Zip-in compatible with complementary garments from The North Face The SPECS Average Weight: 11.64 oz / 330 g Center Back Length: 27.5in. Body: 30D 54 g/m2 (1.90 oz/yd2) 100% nylon Insulation: 133 g PrimaLoft Eco This product can only be shipped within the United States. Please don't hate us.